The past week has been pretty busy as usual despite my two days off, I had a lot of social commitments and although they were very fun, it’s always great getting back to my room and catching up with my personal tasks and goals. Original image by Dave Fayram. 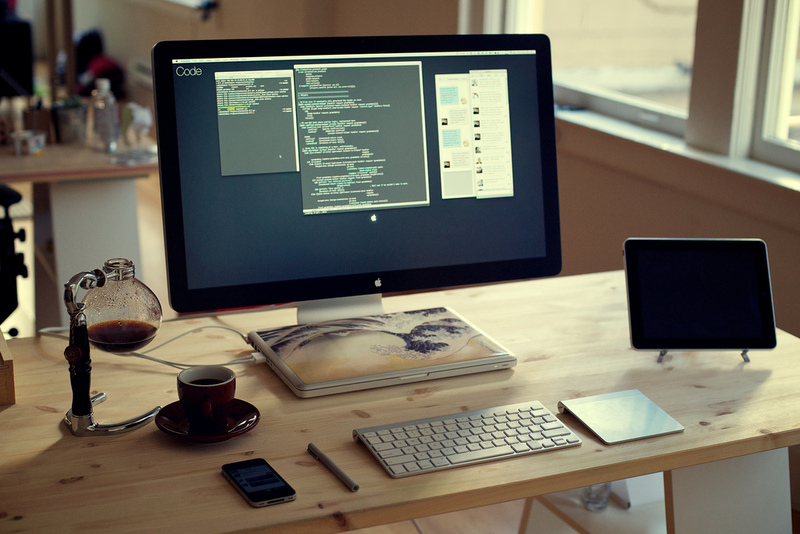 On Tuesday I spent my evening with the weekly Code First:Girls Beginners class as my role as a CF:G Ambassador. 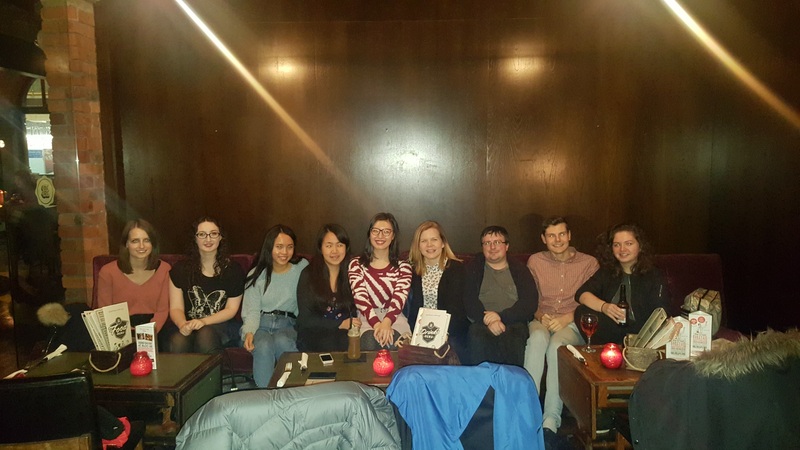 It was the final session of the semester so we were treating the participants with a social that involved 12-inch pizzas and amazing cocktails. The final session was very fun, everyone was busy doing their last minute touch-ups to their website for the CF:G national competition and I had fun helping out with any errors they had come across. That’s one of the best things about this job – having the opportunity to assist in the problem-solving process in web development which is always, always super rewarding because the result is immediate! Another thing that I really enjoy as part of the ambassador team was the actual recruiting to sign up to the course process. I promoted the course thoroughly on social media, hoping to inspire people with my own story and enthusiasm towards women in tech. And it worked! We managed to get 45 sign-ups which are almost double last year’s figures! The Sheffield ambassador team, instructors and some participants! We finished off the evening by going to a local restaurant that is known for awesome pizzas and cocktails. Which by the way, was very cheap! Only £10? Even better! 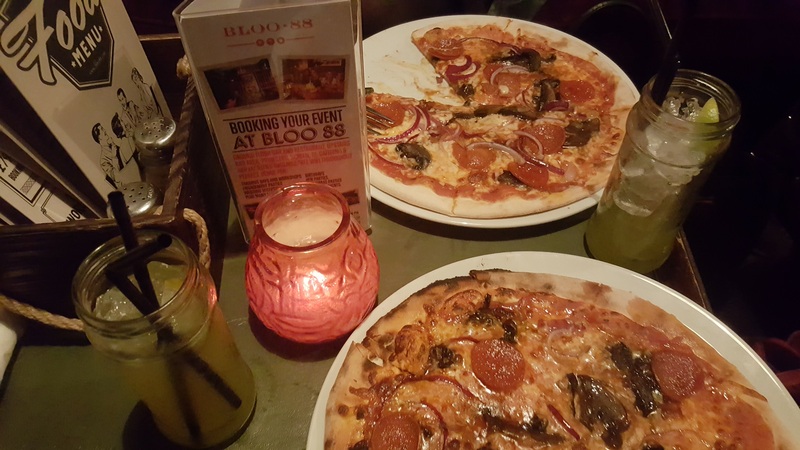 Bloo88 pizzas – definitely deserved it after all the hard work! Excited to continue to share and inspire! Many thanks to those who sent me so much love and support in the last post, you all rock my world! i hope i can land on a job that i enjoy. i’m still unemployed af right now lol but i hope my first job can give me enjoyable experience too. I’m sure it will do! ? I wish I could’ve shared digitally with everyone ? I’m loving the involvement vibes that you’re giving off! It sounds like you’re having a lot of fun in CG:F! It’s always great when you have a lot of sign-ups on the interest list :D. Having lots of names on my club interest list (in college) definitely made my day. You’re awesome for being a positive role model who’s all about being lovely + lively! The cocktails are making me thirsty XD. Thank you so much Nancy, it means a lot coming from the Queen of involvement and one of my positive role models in life in general. Woo, check out that title you got from me ? Whoo hoo! This sounds like a great way to get involved. I’m glad you were able to recruit so many people by sharing your story on social media ^^ Great job, you! And pizzas and cocktails? What a nice thing to have at the gathering. The photos are making it look like a super fun get-together. I give you kudos for being so active and involved, Pauline. I’ve not done anything like what you’re doing, and while I do slightly regret not being more involved back then, I’m more happy for you because you’re doing things you love. Keep it up, girl! You still have plenty of opportunities to get involved, T! Thank you for your kind words ?? This is so awesome and it’s great seeing your involvement in the community, especially encouraging other women to learn how to code! Although I attend some meetups regularly, I don’t think I motivate or mentor enough and I really should. ? The liveliness totally rubs off – when you get excited and pumped, so do others! I think you would be an AMAZING mentor Georgie ? I’ve seen your presentations (photos and tweets!) and I know you would impact and inspire a lot of females. ? But I’m so glad that you were able to have an impact on those girls and that you were able to do something that you enjoy. It truly makes everything worthwhile. Give it a go! It’s so much fun ? It’s such a great skill to have I agree, especially in our now tech-driven world! That’s great that you’re involved with a program like this! That’s awesome to see more women getting into tech, and good job in recruiting so many 😀 I remember seeing you tweet about each website at the competition. That must have been a great experience to help them out and then be a part of the judging panel. I hope many of them enjoyed what they learned and continue down this path! Thanks Cat, it felt so rewarding! I’m glad I can share and inspire what I love with people.